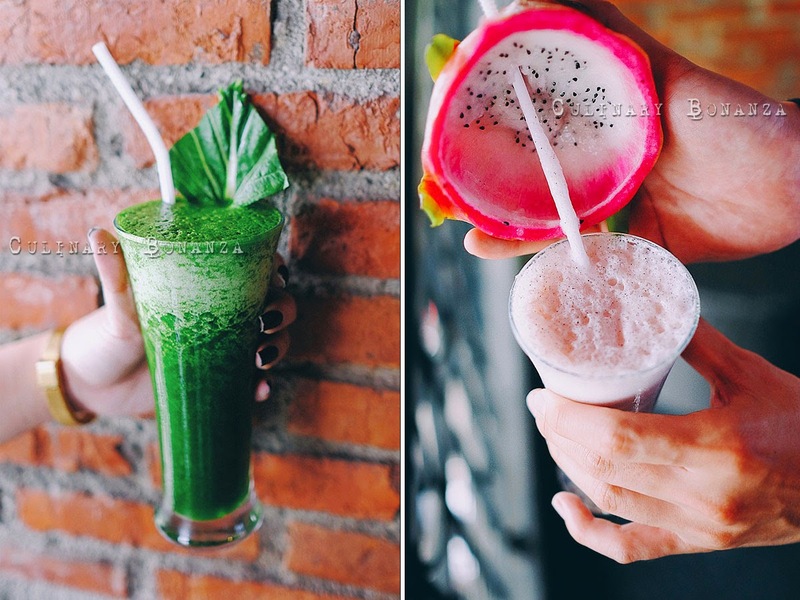 For foodies in Jakarta, the name Pantai Indah Kapuk (PIK) would spark the image of endless rows of restaurants, bakeries, cafes, eateries from casual to fine dining, with some selling specialty / niche goods, to a place that offers anything under the sun. Curiously, every time someone asks me or my foodie friends about what's recommended there, I would stare blankly back at them. Why? Firstly, I'm not a regular visitor to PIK. Secondly, i'm not sure why, every time I would look for a place to eat at PIK, more often than not, I end up not eating at all and went home straight, empty-stomached; due to the lack of positive recommendations about the places there and due to the overwhelming array of options to pick from. So, I often ended up eating ramen at PIK instead (outrageous, I know, and stupid) - of all the other choices I can choose from. But anyway, away from the centre of hubbub and bustle at the main street food of PIK, there's a new section, or a row of shophouses currently being developed. One has to go further inside to access this part of PIK. From the rate of construction and development, I can tell this stretch is going to be alive and bustling pretty soon. 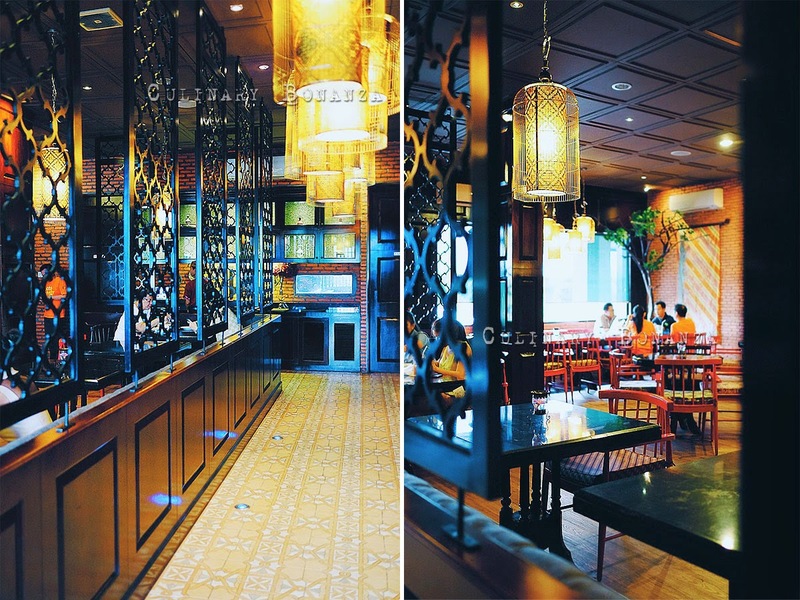 One of the earliest settler at this new stretch is a new Indonesian Restaurant named Pala Adas. The name Pala Adas is actually the names for two Indonesian spices: nutmeg and aniseed, both are common ingredients used in Indonesian cuisine. 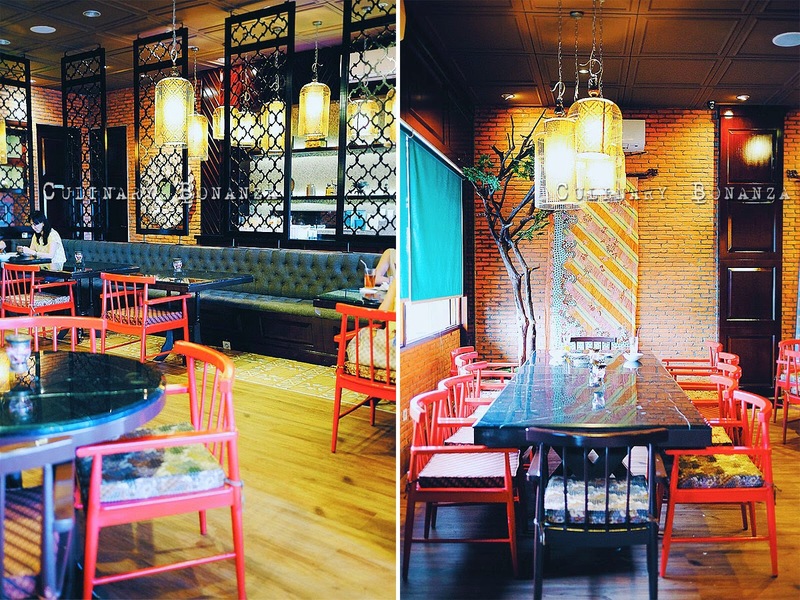 The concept of Pala Adas is a casual Indonesian dining, but with a twist. 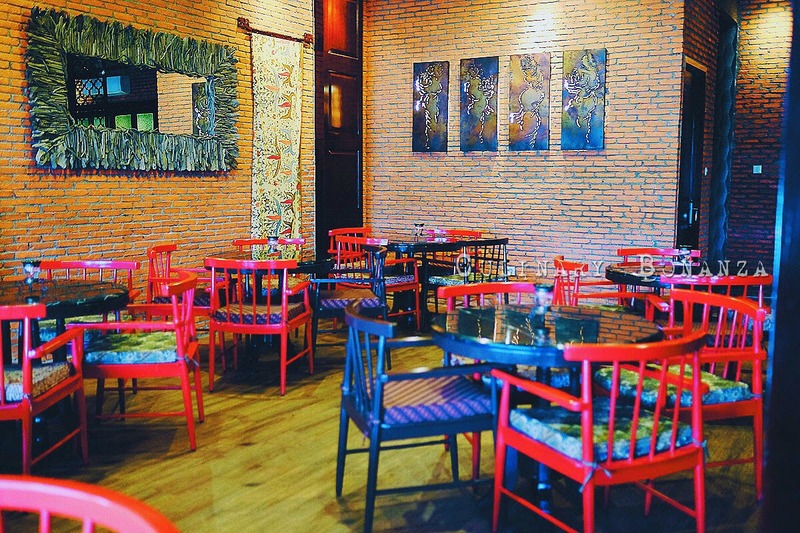 As it is located in the predominately Chinese Indonesian residential area, thus you can find Non-Halal dishes on the menu. Pala Adas stands out from the crowd and thus captures the existing niche market that has been deprived of their porky fix. 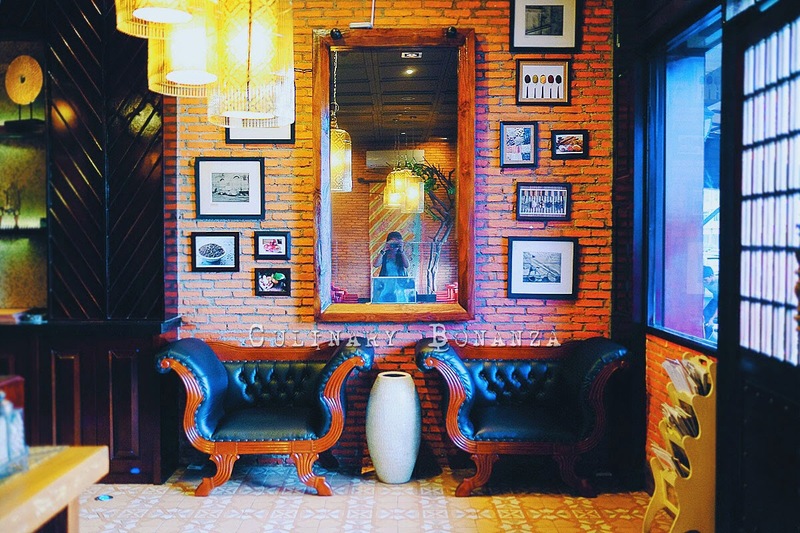 Upon entering the restaurant, you will be greeted by an eclectic interior, mostly dark wood and raw red bricks adorned with vintage ornaments and thingamabobs. 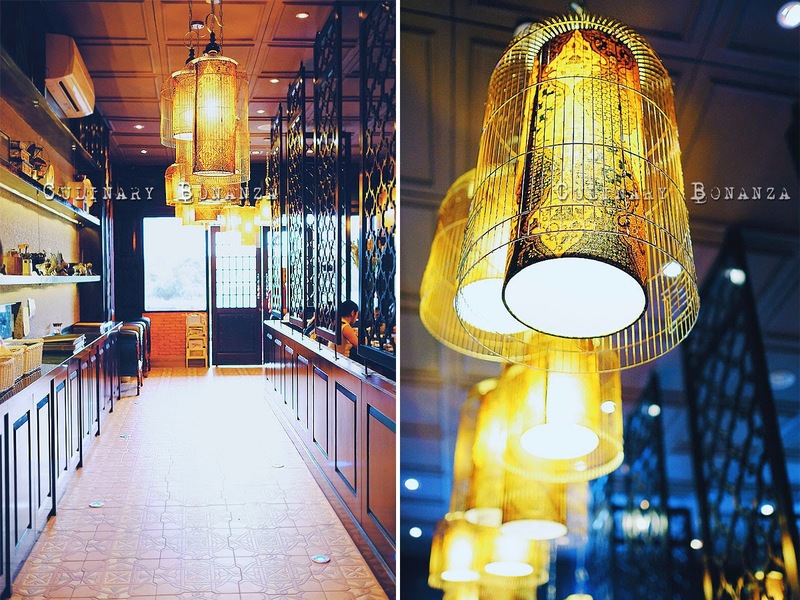 Overall, it feels like stepping inside the house of an old Peranakan family, as one can tell the marriage of Malay and Chinese elements inside. 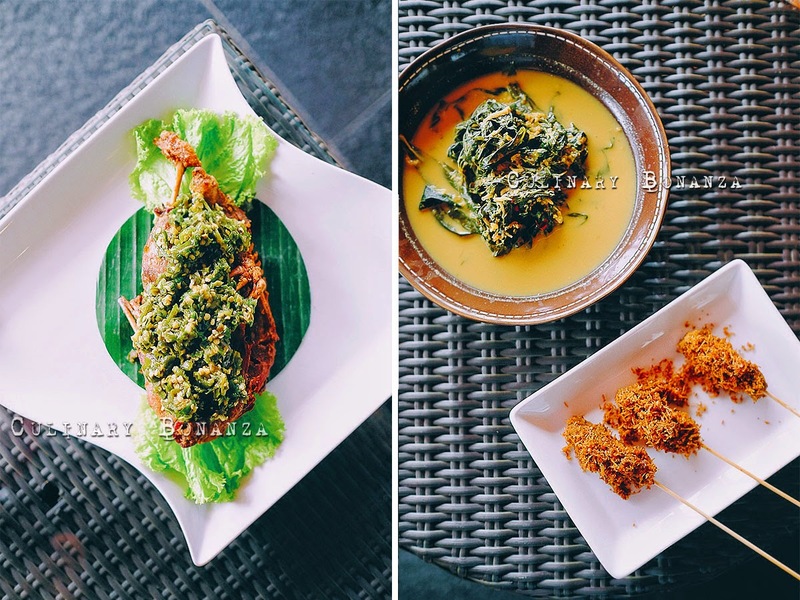 Bebek Cabe Ijo - half a duck, deep fried and served with Indonesian green chili. I have not been a huge fan of duck as the meat tend to have strong gamey odour, but since this is one of the signature dishes of Pala Adas, it would be an offense to not give it a try. The duck was not overly crispy, but the meat is so tender and odourless! Gulai Singkong - cassava leaves cooked in thin coconut gravy. Sate Pala Adas - beef on skewers, grilled and covered in 'serundeng' or slightly sweet, spiced coconut flakes. 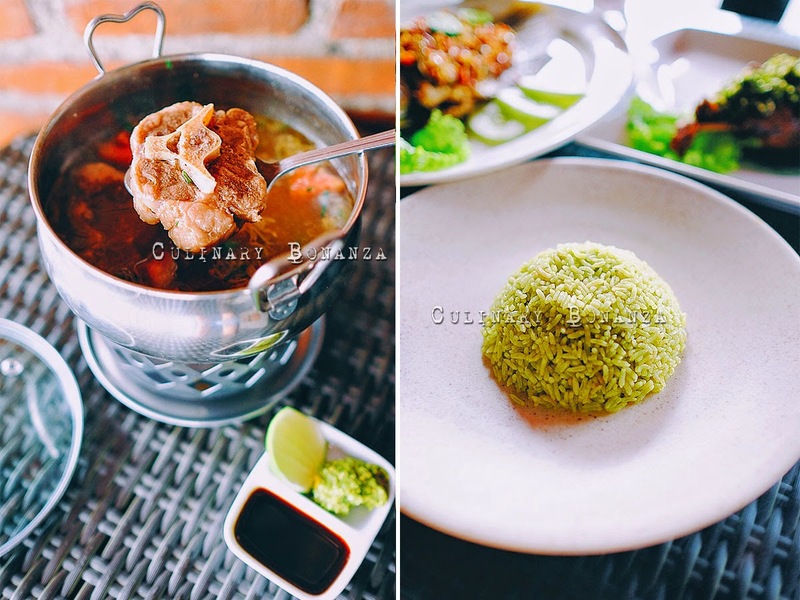 Iga Babi Tiga Rasa - This is another must-order item at Pala Adas, pork ribs cooked and served in 3 different ways and sauces: Rica-Rica (sweet & spicy), Cabe Ijo (green chili) and Hitam Manis (sweet soy sauce). It's hard to pick which of the three styles are my favourite, as each of them have their own appeals, but sweet-toothed me would like to champion the rica-rica pork ribs if I really have to choose one. Sup Buntut - tender oxtail soup in spiced broth. Nasi Pandan Pala Adas - slightly savoury screwpine fragrant rice. Rather than order white rice (come on, don't be boring! ), I'd go for the wildest option: green rice. If they have purple rice, I would probably order that one LOL! 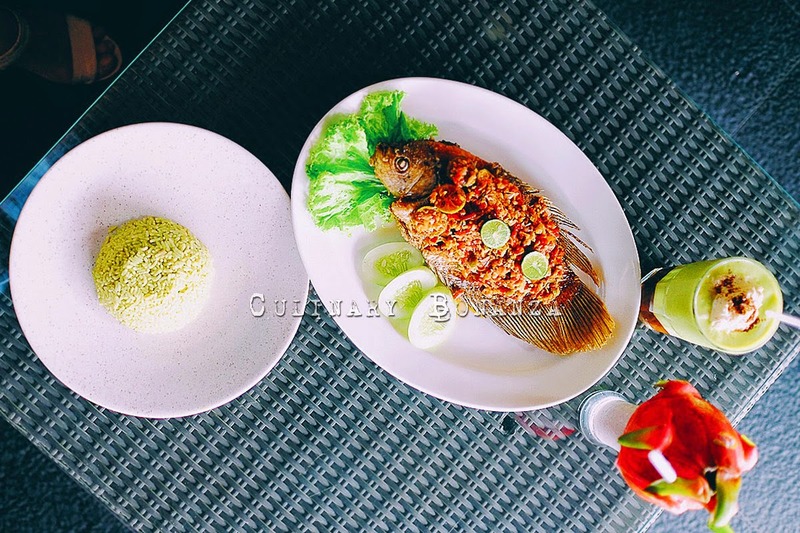 Gurame Matah - fried gouramy fish served with fresh Balinese sambal 'matah', it's crispy to the fins! 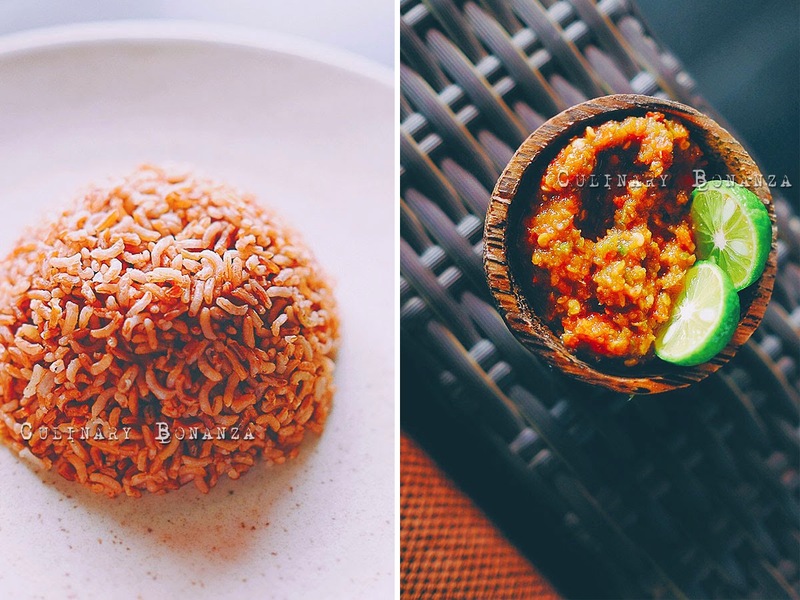 Nasi Merah - brown rice, a healthier option for those who needs carb but is on a diet. Sambal Cobek Pedas - be warned, this little devil packs a hell lot of punch! Just a little scoop of this sambal, should last you several scoops of rice. I wouldn't want to end up visiting the toilet after my meal here, so I would take caution and eat the sambal moderately to accompany the main dishes. 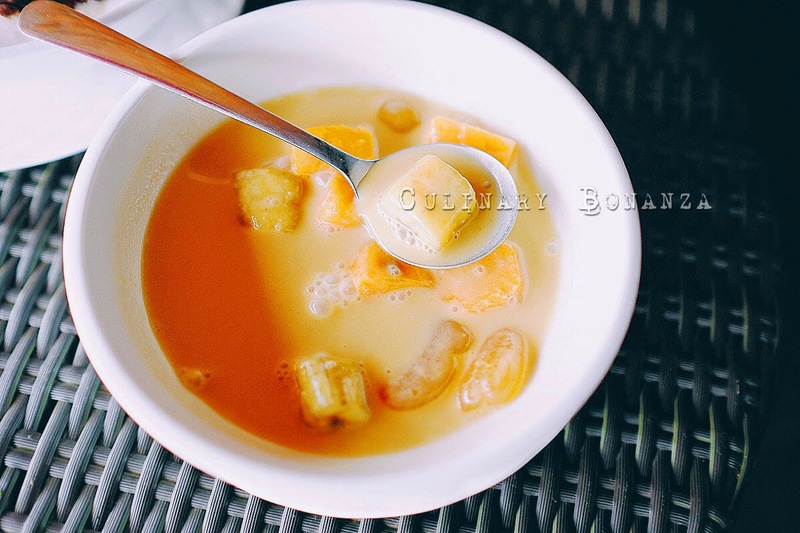 Kolak Pala Adas - an Indonesian dessert, which is basically warm coconut milk soup with chunks of banana, sweet yam and palm fruits. 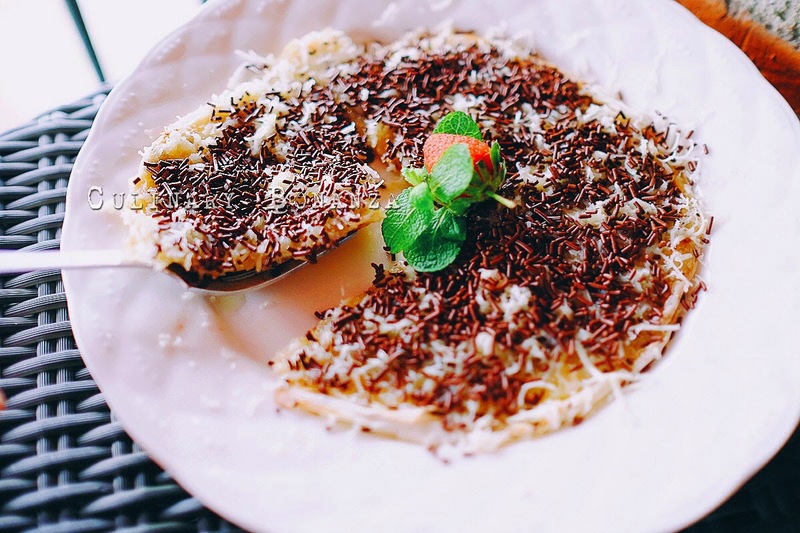 Banana Pala Adas - banana with chocolate rice and condensed milk, who can resist that combo? 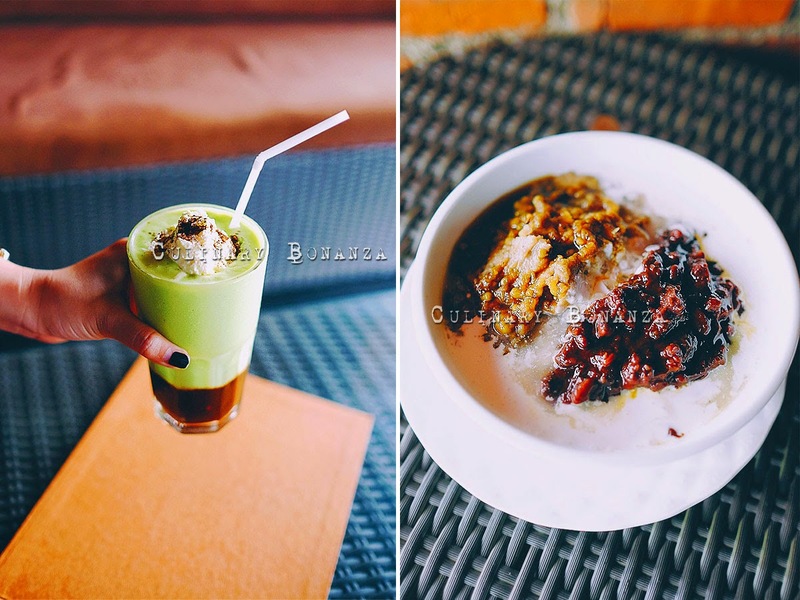 Es Kacang Merah - a bowl of shaved ice, topped with thin coconut milk, mung beans and red beans. Pala Adas pretty much nailed it in the taste department in my personal opinion, which is quite impressive, considering this is the first F&B venture of the owners. 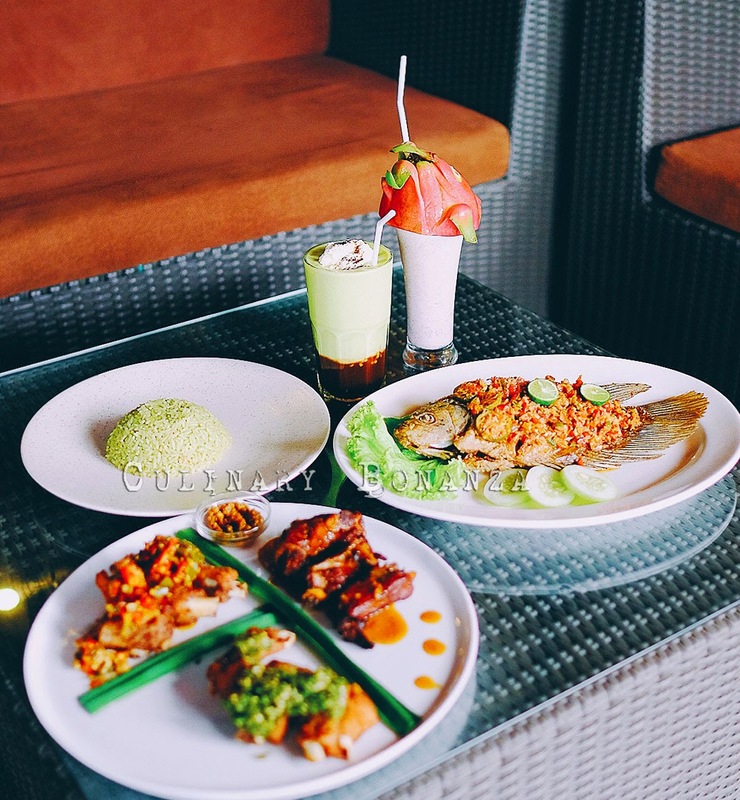 The dishes are well executed, presented and seasoned to appeal to the Indonesian market who love bold flavours. You must be joking if you're not tempted to come here after reading this post!